Judith Bogner is a non-lawyer mediator with a background in international media, business and finance. Between 2001 and 2011 she was one of the main European anchors for the financial news channel Bloomberg Global Television in London. Since 2012 she works internationally as as independent event facilitator and commentator for global finance, business and geopolitics. In May 2013 she decided to add mediation to her skills tool box and was accredited by the London School of Mediation in May 2013. As media professional. Judith is a natural communicator who brings a fresh, intuitive and compassionate approach to mediation. Based between London and Munich, Judith is available for mediations in a cross-cultural and multilingual context. Judith brings to the table a wide range of experiences in international business, finance and media. As former TV presenter for an international financial news channel, she is a gifted communicator who makes those around her feel welcome and at ease – regardless of their background, their culture and beliefs. Personable, calm and non-judgmental, Judith creates a safe space that allows people to relax and be comfortable. She’s an excellent listener and intuitively asks the right questions that serve as stepping stones towards building a solution or an agreement. Judith’s cross-cultural background enables her to comfortably navigate between different business cultures. She is bilingual in English and German, well versed in French and Italian and has working knowledge of Mandarin Chinese. Judith also holds qualifications as yoga teacher, Reiki practitioner and shamanic practitioner. She offers empowerment and counselling session to private clients. 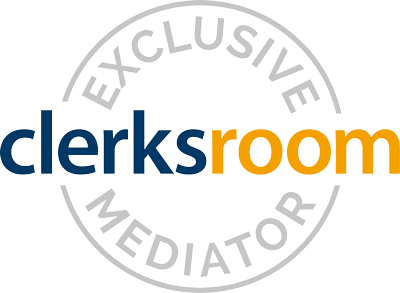 "I’m passionate about the process of mediation because of it opens a space beyond who’s right or wrong. It’s a safe space that allows the human being to be seen and heard. No more blame game. Mediation empowers everybody involved. It places the responsibility and means to find common ground in their hands. I see my role as mediator to be a bridge between those around the table. I create the safe space, I facilitate the communication. No matter what the topic of the dispute may be, there is always potential for resolution – with an outcome that benefits all involved." Personable, calm and non-judgmental, Judith creates a safe space that allows people to relax and be comfortable. She's an excellent listener and intuitively asks the right questions that may serve as stepping stones towards building a solution. Judith firmly believes that every dis-agreement has - by definition - the potential of an agreement that can be found by coming together and communicating openly what truly matters for those involved. Judith is happy to assist in all types of business and personal disputes. She travels nationally and internationally.